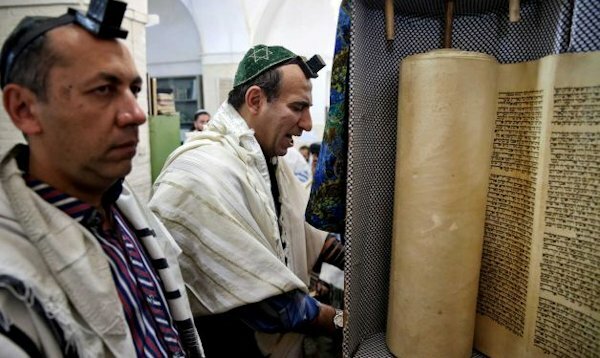 AP - More than a thousand people trekked across Iran this past week to visit a shrine in the ancient Persian city of Yazd, a pilgrimage like many others in the Islamic Republic - until you notice men there wearing yarmulkes. But since Rouhani took office last year, Jews say they have been heartened by the support they've received. His government agreed to allow Jewish schools to be closed on Saturdays to mark Shabbat, the day of rest. Rouhani also allocated the equivalent of US$ 400,000 to a Jewish charity hospital in Tehran and invited the country's only Jewish lawmaker to accompany him to the United Nations General Assembly in New York last year. "We were fearful in the 1980s. We were feeling the pressure. Now, we are not concerned anymore. We feel secure and enjoy freedoms," said Mahvash Kohan, a female Jewish pilgrim who came to Yazd from Shiraz. "In the past, Israel and others were providing incentives such as housing that lured some Jews. Now, it's not like that. And Iranian Jews have better living and working conditions in Iran. So, no one is willing to leave now." Those taking part in the recent Yazd pilgrimage to the tomb of a famed Jewish scholar, however, praised the Iranian government's new outreach. "We've gathered here to pray and celebrate our Jewishness," Kohan said. "We are proud that we freely practice our religion."